Our web development team in Delhi specializes in helping you plan, build, and market your web project. This, of course, can change depending on the project’s focus. A database management system, for example, will focus more on functionality and flexibility than aesthetics, so the development could start right away. 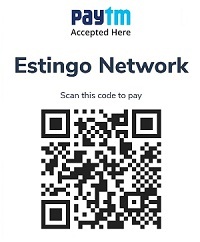 Why should I work with Estingo Network Web Design? Estingo.com is a custom web development company based in Delhi, India. We have more than 6 years of experience, and our work features innovative designs that creatively utilize cutting-edge features, solid information architecture, and intuitive site development. While we are located in Delhi, we offer a wide array of web-related services to clients across the country. You can even take advantage of our Content Management Systems (CMS) to enhance your search engine optimization and search engine marketing efforts. Get started today with a free quote and find out what web developer services can do for you.